As the wheels of Delta flight 6191 lifted off the ground, I began to reminisce over the past summer. The dull roar of the engine, the whirring vibration of the flaps, the rush of air past the window all began to melt into the background as my mind wandered back to a similar flight, two and a half months prior. Except that flight was inbound to Syracuse - and a life changing summer. 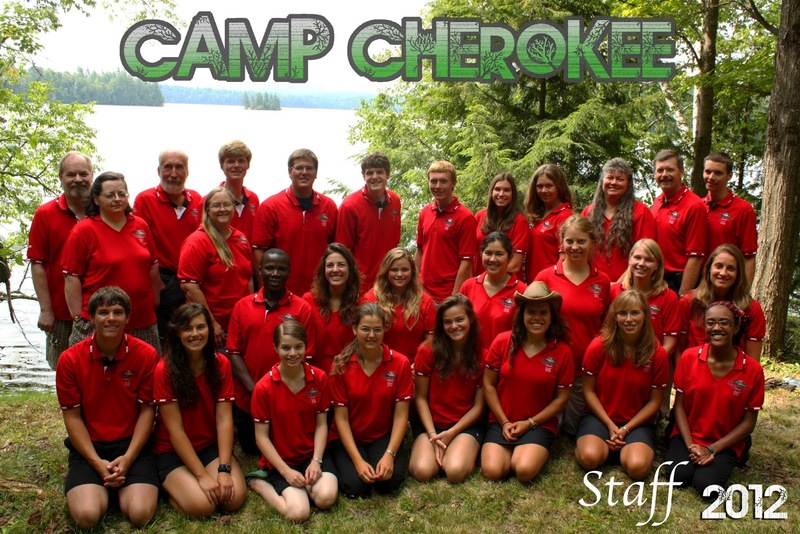 I arrived at Camp Cherokee having only vague ideas of what to expect, but nothing I could have expected would have matched up with my experiences this summer. How do I share this last summer using words? I can't. I remember the night a camper and I were sitting on a little knoll overlooking Upper Saranac Lake. We had just ended our Friday night passion play and had finished our discussion as a cabin about Christ's eternal gift to us. I needed to chat with the camper, so we had stayed behind while the other campers went to bed. As he and I stared in silence at the lake rippling in the moonlight and listened to the breeze gently swaying the trees around us, we heard the wailing call of a loon somewhere in the distance. Silently we both soaked in the aura. Words came slowly. When we finally found our voices I noted the fact that a picture wouldn't adequately capture the moment. It must be experienced to fully enjoy the sight. And that's the best way I can explain my dilemma regarding telling about the trials and blessings experienced this summer. The greatest blessing was the camp staff. I've never worked so closely with so many active, dedicated young people, striving to grow closer to God and share their faith with others. Over the course of our time together we became like family. We laughed together, cried together, worked together, played together, prayed together, and struggled together. We had our arguments, saw the almost worst in each other, and bonded as a team. And campers noticed, and were encouraged. Yes it was fun. I learned a lot. Listening to loon calls at night, watching the sunrise over the lake, riding horseback through the morning mist, splashing through waves on a screamer, parasailing 300 feet above the lake, experiencing the thrill of grasping the balance on a wakeboard, learning how to tack a sailboat; these are all memories that will last a lifetime. But my favorites will always be the times I got to share heart-to-heart conversations with campers, leading them by example to the foot of the cross. Being able to introduce campers to nature was a blast as well. For one weekend, we had a whole busload of people from Brooklyn - straight from the Bronx. A lot of them didn't know how to swim, they wanted the windows on the cabins locked for them, for security of course, and they were amazed by our fire building skills. One day, after I had helped a camper mount one of our horses, she just sat, transfixed, motionless. Finally she whispered as if in a dream, "I've never been on a real horse before - I've always wanted to though." Her smile spread from ear to ear as Yankee began to walk around the arena. Seeing the simple joy that Cherokee brought to the campers meant all the world to me. Whether it was for a week or only for a weekend, I spent the summer striving to bless others, but I myself received the greatest blessing. And that's always how it is.